If you want to let users signup to your site using their instagram account you can now do this with Ultimate Member. 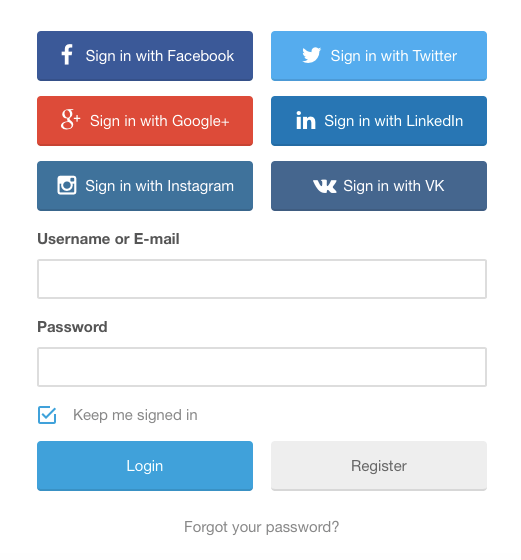 We have added support for Instagram to our social login extension which will allow you to add a retina ready and fully mobile responsive instagram social login button to your site’s login and registration forms. You can also display an instagram login button anywhere on your site using our easy to use shortcode builder. If you have any questions about instagram or our social login extension in general then leave a comment below.